Please Note: This is a ticketed event. Ticket admits 1 and includes a copy of With the Fire on High. 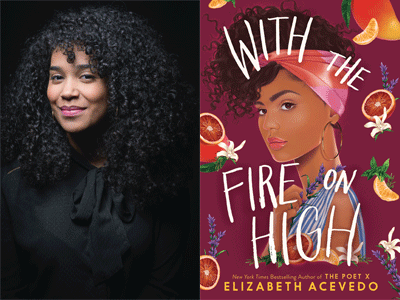 Not Your Mother's Book Club very proudly presents National Book Award and Printz winning author Elizabeth Acevedo in celebration of her stunning new novel, With the Fire On High. Elizabeth will be in conversation with Books Inc. in Alameda Store Manager & Bookseller Melanie Knight. Even though she dreams of working as a chef after she graduates, Emoni knows that it's not worth her time to pursue the impossible. Yet despite the rules she thinks she has to play by, once Emoni starts cooking, her only choice is to let her talent break free.